They didn't know at the time that their unfortunate condition was caused by an infection of the Mycobacterium leprae bacterium. But hundreds of years after their deaths, scientists have found traces of the bacteria in the skeletal remains. The Odense skeletons are so well-preserved that the scientists were able to analyse DNA of the disease causing bacteria after 700 years in the ground. "The skeletons are really extraordinary. Not only when it comes to finding DNA from leprosy bacteria, but also when it comes to mapping human DNA," says lead-author Professor Ben Krause-Kyora from Kiel University and the Max Planck Institute for the Science of Human History, Germany. Scientists suggest that the new study provides new insights into the dramatic outbreak of leprosy that ravaged Denmark and large parts of Europe and culminated in the Middle Ages. The results could also lead to a wider understanding of how the disease progressed and how diabetes developed into Europe's current leading affliction. "The study is exciting because it opens up some perspectives that go beyond an epidemic in the Middle Ages," says doctor and professor, Ib Christian Bygbjerg. He was not involved in the new study. Leprosy is known as a horrible disease. In the worst case it can lead to stunted hands and feet, malodorous wounds, a collapsed nose, and blindness. Traces of the disease can be seen in the bones when it reaches an advanced stage, and is diagnosable just by looking at the bones. Taking samples of the bone allows scientists to find traces of the bacteria that cause leprosy. "The bacteria are no longer alive. They died hundreds of years ago, so the skeleton is not infectious. 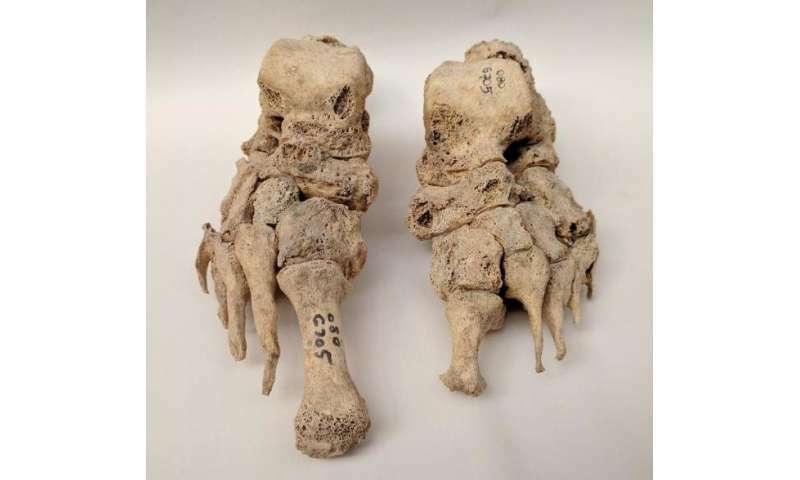 But you can find their DNA on the bones in such large quantities that you can reconstruct the entire genome," says Jesper Lier Boldsen from The University of Southern Denmark, a professor in medieval leprosy and a co-author in the new study. 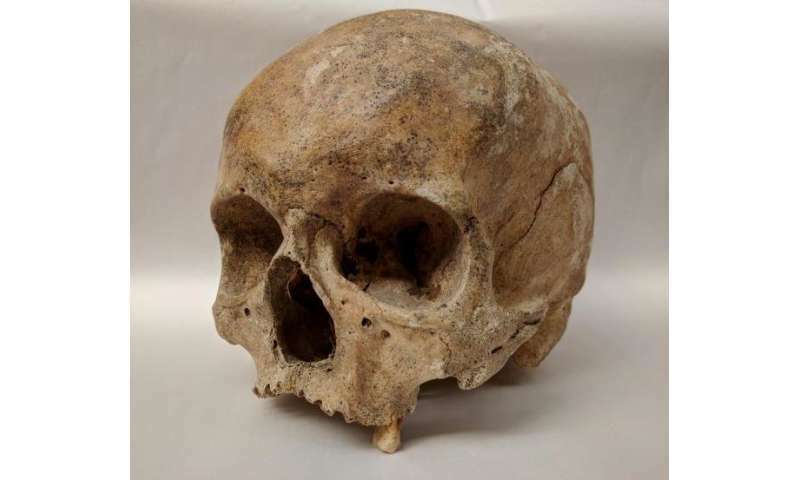 The bacteria DNA reveals that medieval citizens of Odense were struck by more than one type of leprosy. To the researcher's surprise, the ancient bones were infected by at least three different types of leprosy bacteria. We expected that everyone in Odense had been hit by the same type of bacteria. But that wasn't the case at all. In reality, Denmark was affected by many different epidemics of leprosy at the same time," says Boldsen. Did the crusades help spread the disease? It is unlikely that the different strands of leprosy developed in Denmark. More likely, people from outside the local areas brought the various strains to Scandinavia. The disease has existed for thousands of years and leprosy is mentioned in both the bible and old Egyptian texts. Previous research suggests that leprosy might have originated in the Middle East or Africa, but the earliest evidence of leprosy in skeletons is found in India from as early as 2000 BCE. Later strains could even have reached Denmark by way of the crusaders. "One hypothesis is that the crusaders were infected with different strains of leprosy in the Middle East and brought them back to Denmark. But that's just one working hypothesis," says Krause-Kyora. Scientists do not know precisely when and how the disease first came to Europe, but the crusades reached their peak between 1200 and 1400 CE, just when Boldsen's research suggests that half of the population in the worst hit areas were dying with the disease. "You might assume that the disease disappeared because the bacteria behind leprosy changed and became less dangerous. But the study shows that this is not the case," he says.